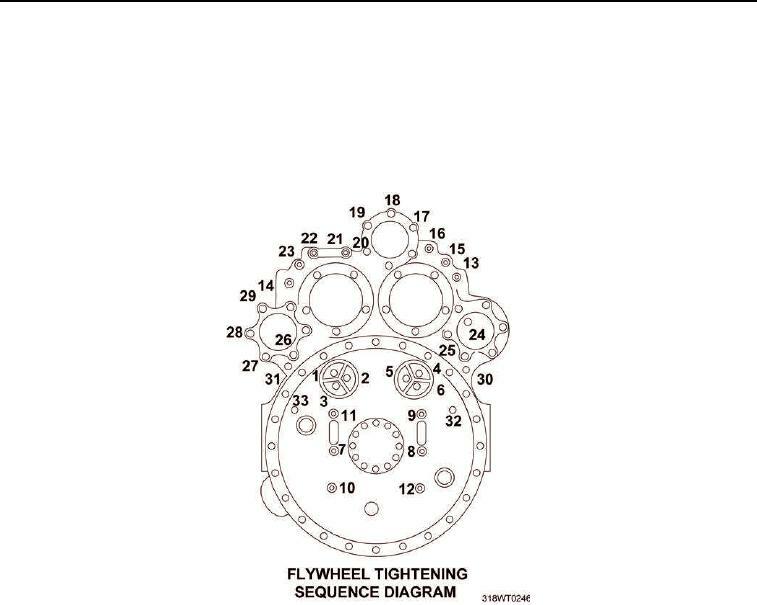 sequences must be followed for the flywheel housing to align properly. 90 to 100 ft lb (122 to 136 N·m). 480 to 540 in-lb (54 to 61 N·m). seventh cap screws to 25 to 30 ft lb (34 to 41 N·m).